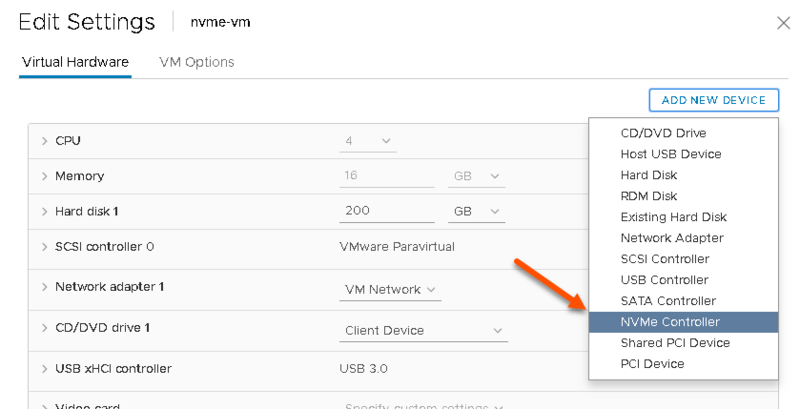 In the first release of this controller, VMware only supported the basic mandatory admin and I/O command sets. 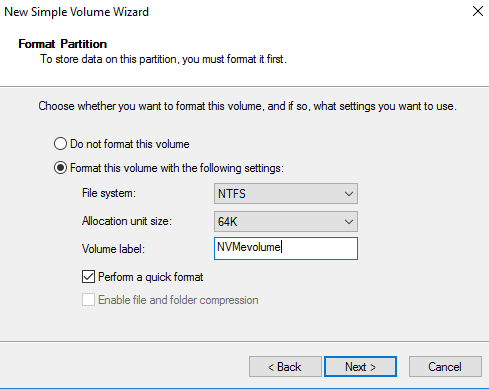 UNMAP is referred to as DEALLOCATE in NVMe (see the SCSI translation reference here and a deep dive here and the full spec here). 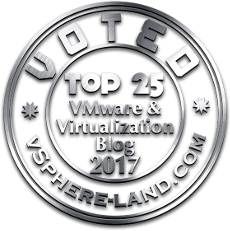 VMware did not support the dataset management that includes DEALLOCATE. You will notice that my VM is currently hardware version 13, this is not the latest version, which is 14. But let’s not upgrade yet. Furthermore, if you use the Optimize Drives tool, which allows you to manually run UNMAP/TRIM/DEALLOCATE in Windows, the drive is listed as no optimization available. Now, let’s upgrade to VM hardware version 14. 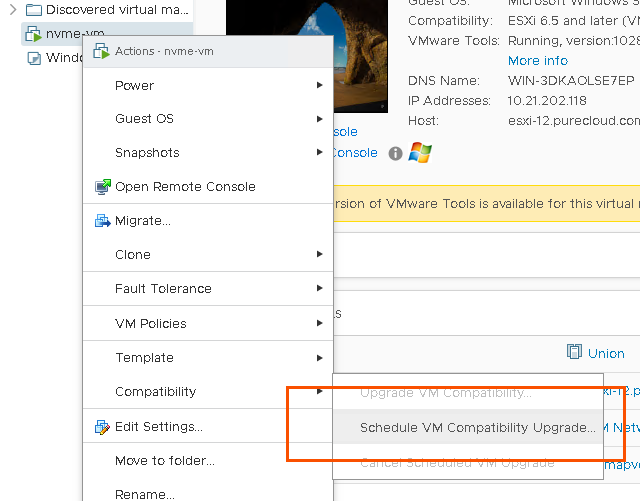 Note that this is a VM hardware version upgrade–this does not require upgrading the VM tools software. When back in Windows, we can see UNMAP support is now listed as 1, meaning it is supported. So let’s actually test it. So what is the final requirements? This seems a bit strange to me, but I need to look into this more. The introduction of reclamation support opens it up to be a contender over PVSCSI, but I am not quite willing to give it the champion title until I know more and do more testing. In short though, keep it on your radar. 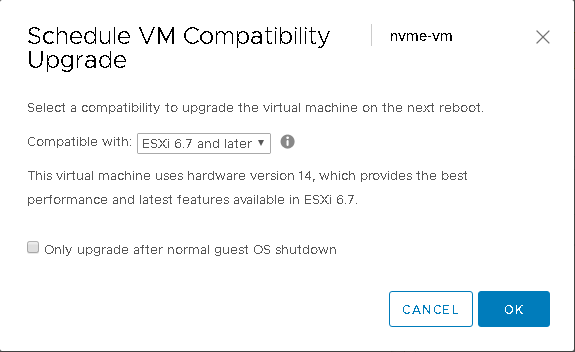 VMware introduced a lot more NVMe support into 6.7 and my guess is this is just the start. So I imagine this controller will only continue to become more important moving forward. Stay tuned for more. 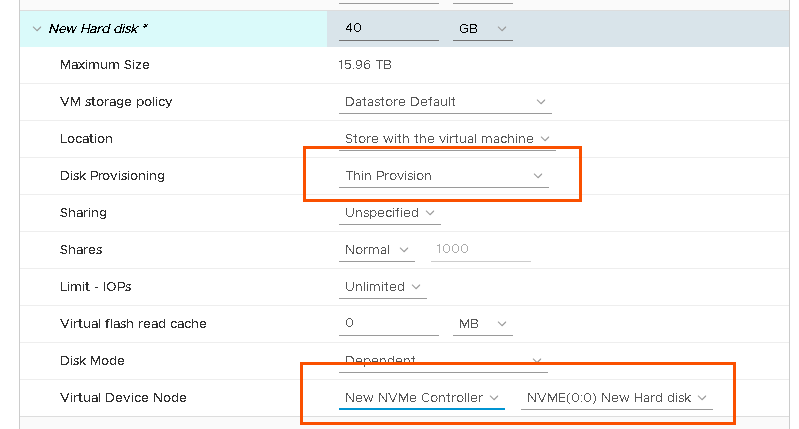 If i undertstand, this nvme controller is only recommend if we have a nmve storage right?, instead the best practice is use the PVSCSI controller. Nice write up! Have you tested on Linux yet? What’s the tool to test UNMAP support on Linux (RHEL)?